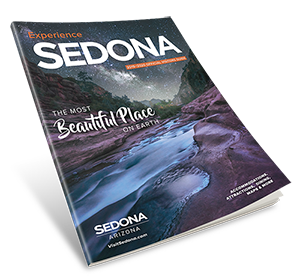 A diverse range of artists and mediums that help showcase the best that Sedona has to offer. Sedona is known not only for its stunning natural beauty, but its vibrant and inspiring relationship with the arts. Creative Gateways Open Studios and Gallery and Kuivato, a Creative Gateways Gallery represent a diverse range of artists and mediums that help showcase the best that Sedona has to offer. Kuivato, located in the world famous Tlaquepaque Arts and Crafts Village, has been open for over 45 years. Recently renovated, it currently represents over 65 artists - local, national, and international - and offers an unforgettable fine art experience. Visitors can see amazing pieces from both glass and non-glass mediums. 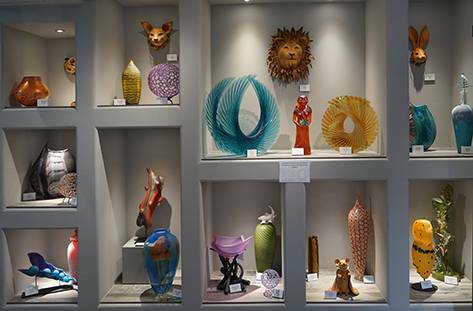 In blown glass, there is everything from the sleekly designed Mirano vases of Gianluca Vidal to the intricately crafted jellyfish of Rick Satava. Artists like Susan Gott and Mark Abildgaard create bold yet spiritual works of cast glass. The meticulous torch work nests of Demetra Theofanus are a great natural balance to the whimsical and surreal torch work creatures from Mazet Studios. Fused glass studio AMusinGlass provides beautiful and practical light sconces, while fused glass artist Sean Cramblett displays dazzling experimental pieces. And nobody leaves untouched by the hand-painted chandeliers of Jenny Floravita. But Kuivato also offers an eclectic spectrum of wearable art. Local jewelers like Sugatha Roeder and Chikako Meyers create unique jewelry that fits all tastes, while artists like silversmith Bonnie Sedan offer the finest in turquoise and silver jewelry. No matter who you are, you are guaranteed to find something you love among the plethora of bracelets, necklaces, and earrings. When you finish at Kuivato, you can take your art experience to the next level by visiting Creative Gateways. Here, you can see five local artists - all of whom are represented at Kuivato - at work in their studio space. Creative Gateways founder Pilisa Rainbow Lady makes her fused glass pieces in her expansive AMusinGlass studio, where she also teaches monthly glass classes. Hopi artist Gerry Quotskuyva spends his time creating bronze sculptures, mixed media work, and carving his famous katsinam/kachina dolls, some over 6 feet tall. Watercolorist Meg Munro highlights the spirits in nature with her impressionistic paintings. Sumati Colpitts infuses life into her adorable ceramic animals, while her husband Michael Colpitts uses intuition and special techniques to create uplifting abstract mixed media paintings. At Creative Gateways, you can not only view the work of these amazing artists, but see and discuss their process in the very environment where the work is created. It is a truly authentic and fulfilling experience for the veteran art collector and curious tourist alike. Creative Gateways, located at 45 Birch Blvd in West Sedona, is open 7 days a week, from 10am-5pm. It offers monthly glass classes, open studio time, and Artist Spotlight events. For more information, call 928.862.4440. Kuivato is located at Tlaquepaque Arts and Crafts Village at 336 State Route 179, Suite B125, and is open 7 days a week, starting at 9am. Kuivato participates in 1st Friday Evening in the Galleries, with opening receptions of new exhibits the first Friday of every month, from 5-8pm. For more information, call 928.282.1212.